I have a 04 g3 suncatcher lx22c. Will the 30in radius seat fit? 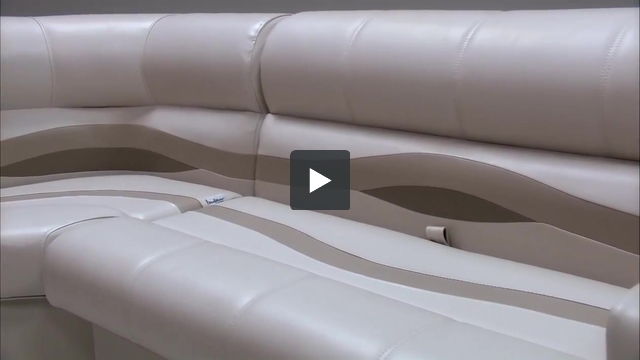 You will need to measure your current radius and compare it to our Pontoon Boat Radius Seat. Since our Seats are not boat specific, we require measurments to find the best fit. I have a2014 suntracker fishing barge and I want to put a lounge type seat in and remove the live well and battery box will the 30 radius work for the curve in my railing? Since we are not Pontoon Boat specific, we would need you measure your railing and compare them to the measurements we have listed on the products description. Unfortunately, we do not make any custom colors for our Pontoon Seating. What we have listed on our website is what we offer. I do apologize for the inconvenience. I am looking for a Bow corner seat for my 2000 Sun Tracker Fish & Fun 20' Pontoon. At the corner it has a radius of 110 degrees. Would your 30" fit my corner radius ? I beleive the 30" radius pontoon seat will work well with that model of boat. You will want to verify by confirming the radius of the rail by measuring it on your pontoon boat. You will want to take two tape measures and place both on the rail of your boat behind the seat back where it starts to curve. You will do this for both the front and side of the seat at the same time. The point where the two tape measures intersect will be the radius. I have crestliner 1681 with radius bow rails. My available width is 48" What seats do you gave available? I found an image of your pontoon and it looks like you have a large radius in the front of that pontoon boat that has a single pontoon seat that fills that 48" space. Unfortunately our 30" radius corner is what would most likely fit into your railing but even the smallest 28" pontoon seat would make the total length too long. I don't have a perfect fit option for you... The only thing I could think of would be to try and fit a 38" pontoon seat into that space but it would not conform to the railing. I wish we had a better answer for you but this may be an item that would need to be upholstered by a local shop if you wish to keep the exact layout. Can I buy your seats without bases? I have a deck boat with seats screwed straight to the deck. I do not need bases. Please let me know as soon as possible. Eric Harness 816 518 5998. Unfortunately we don't sell just the cushions. I understand your application but unfortunately they just won't work on your platform or deck. Our back rests have a special design on the bottom of the frame work that drops into our plastic seat bases, they won't mount any other way without being very unstable. I'm sorry we cannot be more helpful. If I gave you the pontoon name and model number along with the VIN could you build the same layout as what is on it now? What is the radius of the 30" bow corner seat? You say we need to measure the rail but never say what the radius of the seat is. The radius is 30". Where the 2 points meet at 90 degree angle are where we come up for 90 degrees. Can (2) curved bow seating (30 inch) be built in just solid white, one color. Will to pay up charge if neeed. Unfortuantely, we do not make or offer custom colors. We only have the colors listed on our website. Will these fit the front of a bass buggy 18dxl? You will need to compare the measurements of the radius on your railing to determine if this Pontoon Seats works best for you.